Icon Labs spotlighted in daily newsletter and online. 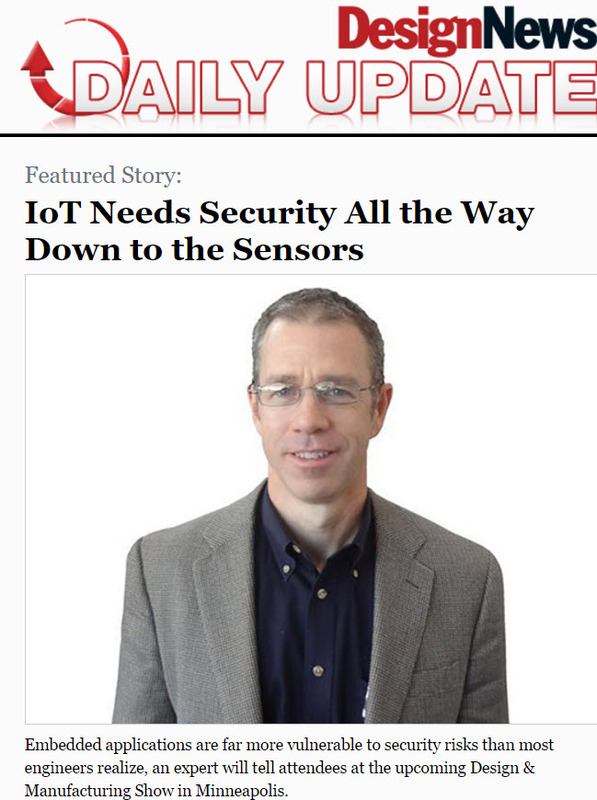 IoT Needs Security All the Way Down to the Sensors. Embedded applications are far more vulnerable to security risks than most engineers realize, an expert will tell attendees at the upcoming Design & Manufacturing Show in Minneapolis.